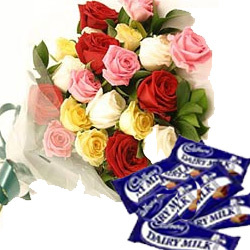 15 Multi color Roses Bouquet and 24 Dairy milk Chocolates (each 12 gms). 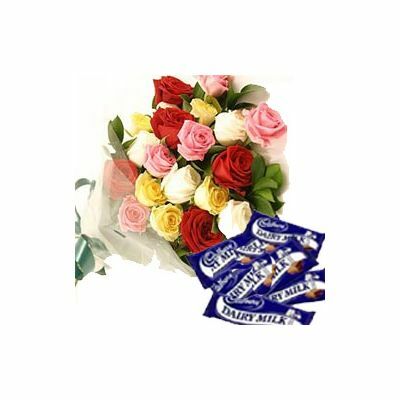 Multicolor roses brings a colorful day in everyones life with dairy milk chocolates. Send this combo to your dearest persons and make an auspicious day.